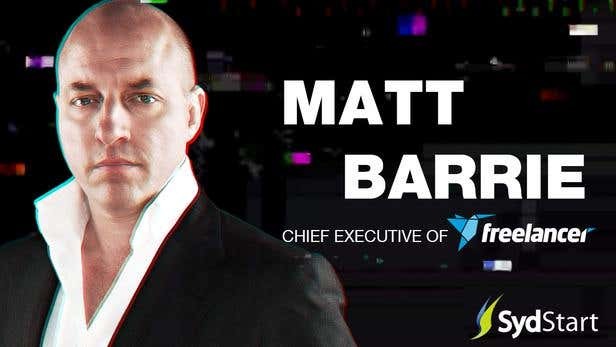 Matt Barrie is an award-winning entrepreneur, technologist, and lecturer, having won numerous awards including being named the inaugural BRW Entrepreneur of the Year in 2011. Matt was previously founder and CEO of Sensory Networks Inc., a vendor of high performance network security processors, which Intel Corporation announced acquired in 2013. In 2011, he was named inaugural BRW Entrepreneur of the Year. Smart Company also named him one of the 11 most influential Australians in IT. On top of that, he was the winner of the technology category in the National Ernst & Young Entrepreneur of the Year awards that same year. In 2012, he was named one of the Top 100 Most Influential Engineers by Engineers Australia, and Man of Influence by Men’s Style magazine. In 2013, he was named one of the Top 10 Australian Entrepreneurs to Watch by SmartCompany, and was awarded the Blackberry Young Technology Entrepreneur of the Year by News Limited. He also got a Silver Stevie in the International Business Awards for Executive of the Year in Internet/New Media, and was again named one of the Top 100 Most Influential Engineers by Engineers Australia. Matt has first class honours degrees in Electrical Engineering and Computer Science from the University of Sydney, a Masters in Applied Finance from Macquarie University, and a Masters in Electrical Engineering from Stanford, California. He is a graduate of the Stanford Executive Program at the Graduate School of Business. He is a Fellow of the Institute of Engineers Australia and Councillor of the Electrical and Information Engineering Foundation at the University of Sydney. Matt is a prolific speaker and has either spoken at or been featured in the Summit Series, the New York Times, Bloomberg TV, The Wall Street Journal, TechCrunch, The Atlantic, Switzer, BRW and The Economist. He is regularly invited to speak at the world’s leading entrepreneurship, internet and business conferences/forums. He is also one of the worldwide Linkedin Influencers, along with Richard Branson, Barack Obama and Deepak Chopra, where he writes about entrepreneurship and technology.